Lynn Hlatky is the founding director of the Center of Cancer Systems Biology. Prior to founding the Center, she was at Dana-Farber Cancer Institute and in the Department of Radiation Oncology at Harvard Medical School. The mission of the Center of Cancer Systems Biology (CCSB) is based on the appreciation that carcinogenesis evolves at multiple levels ranging from molecular signalings to cellular and tissue interactions, and that only by their concerted study can the entire process be understood and translated into advances in clinical treatment and the development of novel therapies. Accordingly, the CCSB incorporates researchers with expertise in clinical oncology, cancer biology, molecular biology, radiobiology, bioengineering, mathematics, physics and engineering, chemistry, and computational biology. 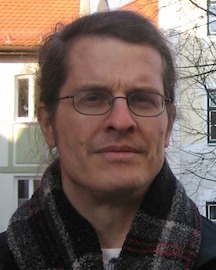 Philip Hahnfeldt, PhD. Senior Investigator. Phil Hahnfeldt joined the CCSB from the Dana-Faber Cancer Institute and Harvard Medical School. He is an MIT-trained mathematician who has specialized in cancer systems analysis. He directs a project under the Center's NSCOR Program to form composite models of carcinogenesis risk incorporating the biological and mathematical studies of the other collaborators. Yun Wang, MD, PhD. Senior Investigator. 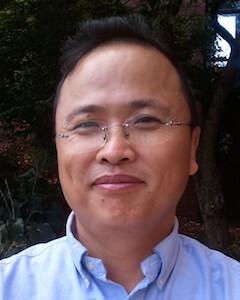 Yun Wang, a Principal Investigator of Neurology Research, joined the CCSB in 2013. She was trained at Weizmann Institute of Science in Israel and at Yale University. She currently participates in the Human Brain Project (HBP), one of the two FET (Future Emerging Technology) flagship projects in Europe. Her research is focusing on the functional and structural neuron-microcircuitry of the cortex under normal and disease conditions. Afshin Beheshti, PhD. Associate Investigator. Research Assistant Professor of Medicine, TUSM. Afshin Beheshti joined the CCSB in 2006 from the Forsyth Institute where he worked on oral bacteria for three years. He obtained his PhD in Biophysics from Florida State University on ‘Modeling DNA Behavior in Gel Networks’ in 2002. Dohoon Kim, PhD. Associate Investigator. Research Assistant Professor of Medicine, Department of Integrative Physiology and Pathobiology, TUSM. Dohoon Kim joined the CCSB from McLean Hospital and Harvard Medical School in 2013. He was trained and completed his stem cell studies at the Stem Cell Center of Kyoto University, Joslin Diabetes Center, and McLean Hospital. His area of expertise is in stem cell biology, such as embryonic stem cells (hESC), induced pluripotent stem cells (iPSC), and dedifferentiated multipotent stem cells (DMPSC). 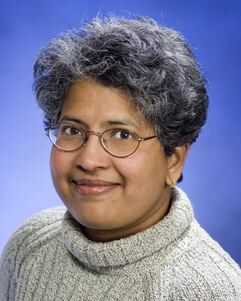 Mamta Naidu, PhD. Associate Investigator. 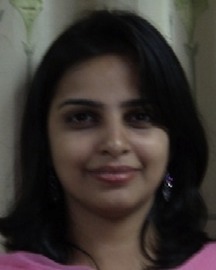 Mamta Naidu joined the CCSB in December 2012 from Stony Brook University (Research Assistant Professor, 2011–2012) and Brookhaven National Laboratory (Scientist, 2003–2012) in New York. She received her PhD in Biochemistry from the University of Bombay, India in 1997 where she worked at Bhabha Atomic Research Centre (BARC) in Mumbai on the effects of radio-detoxified lipopolysaccharide on immune cells. She completed her postdoctoral training at North Shore University Hospital-NYU School of Medicine (Manhasset, NY) in 1997–2003, exploring the mechanisms that regulate autoimmune disorders, especially those which unravel cell death mechanisms. Building on this interest in cellular mechanisms, Mamta moved into the study of DNA damage repair and dose-response of glial progenitor cells and glioma cell lines to low and high LET radiation. She is the recipient of a NASA Space Radiobiology Research award to study high LET radiation-induced DNA repair mechanisms in Oligodendrocyte progenitor cells (OPC) in vitro and in vivo. Roberto Pola, MD, PhD. Associate Investigator. Adjunct Assistant Professor of Medicine, TUSM. Roberto Pola joined the CCSB in 2011 from a position as Associate Investigator in the Center for Cardiovascular Research at St. Elizabeth's Medical Center. In addition to his role in the CCSB, he also holds a faculty position at the Catholic University School of Medicine in Rome, Italy, where he obtained his MD in 1996 and his PhD in 2001. Dr. Pola's work focuses on the molecular and cellular mechanisms of angiogenesis and tissue regeneration. 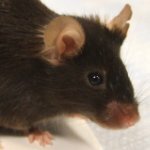 He has provided the first evidence that the embryonic morphogen Sonic hedgehog (Shh) is a potent angiogenic agent in post-natal life and may be used to induce therapeutic angiogenesis in the setting of ischemia. He is also interested in the genetics of cardiovascular diseases and collaborates with several centers in Europe and around the world on GWAS on stroke and peripheral artery disease. After obtaining his PhD in applied mathematics on the mathematical and numerical analysis of a model for therapies in metastatic cancer from the University of Provence in Marseille, France, Sébastien Benzekry completed his postdoctoral training at the CCSB in 2012. As of January 2013, Sébastien has joined the INRIA MC2 team at INRIA Bordeaux-Sud Ouest, Institut de Mathématiques de Bordeaux in France, as a Junior Researcher (CR2) where he continues his work in applied mathematics to cancer research. Swati Girdhani received her PhD in Radiation Biology from the Indian Atomic Research Centre and completed postdoctoral training at CCSB. Staying at the Center for a number of years, she furthered her work in radiation studies, eventually advancing to the rank of Associate Investigator. Since April 2014, Swati has joined Varian Medical Systems in Palo Alto, California as a Senior Scientist in the Ginzton Technology Center. 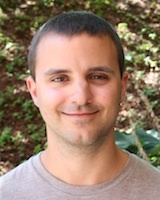 Tyson McDonald joined the CCSB in 2009 as a post-doc from the University of California, Los Angeles where he received his PhD in Radiation Biology from the Biomedical Physics Program. His studies included novel findings of transciptional regulation at chronic low dose and dose-rates from primary human prostate fibroblast cell cultures. He is currently a member of the Cancer Research Center at Hampton University studying clinical-translational research of proton radiation therapy. Ray Sachs is Adjunct Professor of Medicine at the CCSB and Professor of Mathematics and Physics at the University of California, Berkeley. He directs a project on quantitative modeling of carcinogenesis dynamics under the Center's ICBP. This year he has worked mainly on leukemia dynamics and on radiation modulation of solid tumor dynamics. Christine E. Briggs, PhD. Assistant Investigator. Chris Briggs's interests are in applying computational/statistical/bioinformatics tools and genomics technologies to dissect the roles of epigenetic factors, genomic instability and gene expression changes underlying dysregulation of molecular pathways leading to cancer. Kathleen Wilkie, PhD. Assistant Investigator. 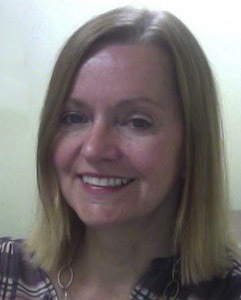 Kathleen Wilkie joined the CCSB in 2011 from the University of Waterloo, Canada, where she received her PhD in Applied Mathematics from the Faculty of Mathematics. In her thesis she used continuum mechanics to develop both poroelastic and viscoelastic descriptions of the brain to model hydrocephalus (a neurological condition) and examine several medical hypotheses for its pathogenesis. Here at the CCSB, Kathleen uses differential equations to study cancer-immune interactions in tumor-promoting inflammatory microenvironments from a systems biology perspective. Sungbum Cho, MD, PhD. Postdoctoral Fellow. Sungbum Cho joined the CCSB from Chonnam National University Hospital of South Korea in March 2014. He received his MD (Gastroenterology and Hepatology of Internal Medicine) and PhD from CNUMS, South Korea. His interests focus on cancer stem cell biology and clinical application. 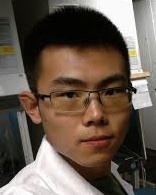 Xuefeng Gao, PhD. Postdoctoral Fellow. Xuefeng (Ryan) Gao joined the CCSB in November 2011 from the University College Cork, Ireland, where he received his PhD on 'Multi-scale Modeling and Simulation of Tumor Development and Cancer Gene Therapies' in 2011. ICBP Education & Outreach Director. Clare Lamont joined the CCSB in 2006. In her role as Research Coordinator, she works closely with CCSB scientists to provide hands-on experimental support as well as manages administrative and policy requirements for on-going research projects. In addition, she creates illustrations and scientific graphics for grant submissions, lectures, and manuscripts. She also directs the outreach initiative for our center's ICBP. Lili Ma, MD, MS. Research Associate. 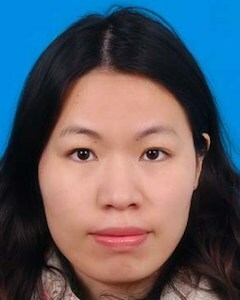 Lili Ma joined the CCSB in August 2007 from Shanghai Institutes of Biological Sciences (SIBS), China, where she worked on immulogical studies. She received her MD in Clinical Medicine from Changzhi Medical College, China and went on to pursue further studies, earning an MS in Immunology from Sochow University, Suzhou, China. 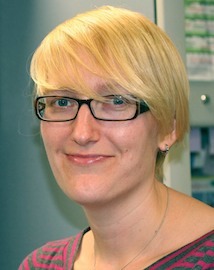 Her current interests focus on cell-cell interaction and prostate carcinogenesis. Maoyun Sun, MD, PhD. Research Associate. Maoyun Sun joined the CCSB in 2009. 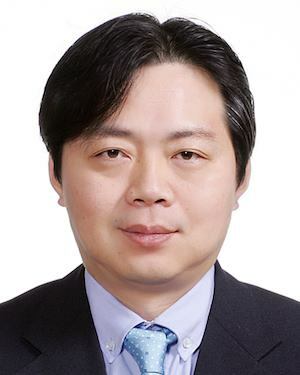 He received his PhD in Biochemistry and Molecular Biology from Fudan University Shanghai Medical College, China in 2006. Janusz Weremowicz. Animal Research Manager. Janusz Weremowicz's field of interest is microsurgery and care of our animal colony. Beheshti A, Wage J, McDonald JT, Lamont C, Peluso M, Hahnfeldt P, Hlatky L. Tumor-host signaling interaction reveals a systemic, age-dependent splenic immune influence on tumor development. Oncotarget. 2015 Nov 3;6(34):35419-32. Wage J, Ma L, Peluso M, Lamont C, Evens AM, Hahnfeldt P, Hlatky L, Beheshti A. Proton irradiation impacts age-driven modulations of cancer progression influenced by immune system transcriptome modifications from splenic tissue. J Radiat Res. 2015 Sep;56(5):792-803. Epub 2015 Aug 7. PMCID: PMC4577010. Suresh Kumar MA, Peluso M, Chaudhary P, Dhawan J, Beheshti A, Manickam K, Thapar U, Pena L, Natarajan M, Hlatky L, Demple B, Naidu M. Fractionated radiation exposure of rat spinal cords leads to latent neuro-inflammation in brain, cognitive deficits, and alterations in Apurinic Endonuclease 1. PLoS One. 2015 Jul 24;10(7):e0133016. PMCID: PMC4514622. Beheshti A, Benzekry S, McDonald JT, Ma L, Peluso M, Hahnfeldt P, Hlatky L. Host age is a systemic regulator of gene expression impacting cancer progression. Cancer Res. 2015 Mar 15;75(6):1134-43. Epub 2015 Mar 2. PMCID: PMC4397972. Girdhani S, Lamont C, Peluso M, Sun M, Hlatky L. 56Fe ion irradiation enhances angiogenesis and other inter-cellular determinants of carcinogenesis risk. J Radiat Res. 2014 Mar 1;55 Suppl 1:i124-i126. PMCID: PMC3941549. McDonald JT, Briggs C, Szelag H, Peluso M, Schneider D, Perepletchikov A, Klement GL, Tuerk I, Hlatky L. Chronic low dose-rate radiation down-regulates transcription related to mitosis and chromosomal movement similar to acute high dose in prostate cells. Int J Radiat Biol. 2014 Mar;90(3):231-40. Epub 2014 Jan 8. Beheshti A, Sachs RK, Peluso M, Rietman E, Hahnfeldt P, Hlatky L. Age and space irradiation modulate tumor progression: implications for carcinogenesis risk. Radiat Res. 2013 Feb;179(2):208-20. Epub 2013 Jan 4. Melissa Klumpar brings a broad administrative and program management background to the CCSB, which she joined in 2010. She has experience coordinating large, complex grant initiatives, such as the NCI Cancer Center Support Grant, at academic medical centers like the Tufts Cancer Center and the Dana-Farber/Harvard Cancer Center. As Program Manager for the CCSB, Melissa works with the institutional Research Office and with internal and external investigators to coordinate the research efforts of the Center. Mary Helen Barcellos-Hoff, PhD. Professor of Radiation Oncology and Cell Biology, NYU Langone Medical Center. Sylvain Costes, PhD. Staff Scientist, Lawrence Berkeley National Laboratory. Shiva Kalinga, PhD. Project Leader, Department of Biological Engineering, Massachusetts Institute of Technology. 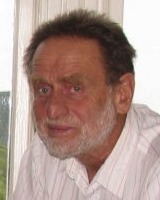 Tomas Radivoyevitch, PhD. Assistant Professor of Epidemiology and Biostatistics, Case Western Reserve University. Tomas Radivoyevitch's aim is to produce mathematical models of normal and malignant myelopoiesis. He is particularly interested in pharmacokinetic/pharmacodynamic models of responses of these systems to nucleoside analogs such as decitabine. Douglas Schneider, MD. Associate Clinical Professor of Anatomic and Clinical Pathology, TUSM. Douglas Schneider is a pathologist at Steward St. Elizabeth's Medical Center and Tufts University School of Medicine. Ingolf Tuerk, MD, PhD. Chief of Urology and Director of the Robotic Assisted Surgery Program, Steward St. Elizabeth's Medical Center. Ingolf Tuerk is a world-renowned expert in laparoscopic and robotic urologic surgery and has pioneered several laparoscopic techniques including radical prostatectomy, radical and partial nephrectomy, right side donor nephrectomy, pyeloplasy and radical cystectomy with continent urinary diversion. Dr. Tuerk is working with CCSB on translational prostate cancer projects. 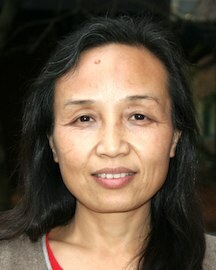 Zhina Zhi is a graduate of Wenzhou Medical University, China, where she worked in neurophysiology. She received her MD and MS from China. As a visiting scholar/postdoc to the CCSB for one year, she worked in the lab of Dr. Yun Wang. She has worked on neuron microcircuits as a research assistant since September 2012 and her research interests focus on neurophysiology. She will continue her collaborations with the CCSB from China. Judah Folkman, MD. Julia Dyckman Andrus Professor of Pediatric Surgery and Professor of Cell Biology, Harvard Medical School. In Memorium: On January 14, 2008 Judah Folkman died unexpectedly en route to a conference on angiogenesis. His passing is an immense loss to those who knew and worked with him, as well as to the advancement of science. We greatly miss his scientific insight, unbounded enthusiasm, and friendship. Click here to view CCSB alumni.